If you’re going to tour Asia as a Diva, start with one of its most iconic, exotic and wildly fun cities—Bangkok! You and your Diva friends and family will tour dazzling temples, stroll through downtown district dotted with high rise buildings, browse eclectic markets, marvel at gleaming palaces, shop at luxurious malls and dance the night away at world-famous clubs. Bangkok has it all. When you need some time to get away and recharge, we’ll take you to Phuket. Reinvigorate your senses while basking in the white powdery beaches with crystal clear water. Come and discover the best of Thailand. 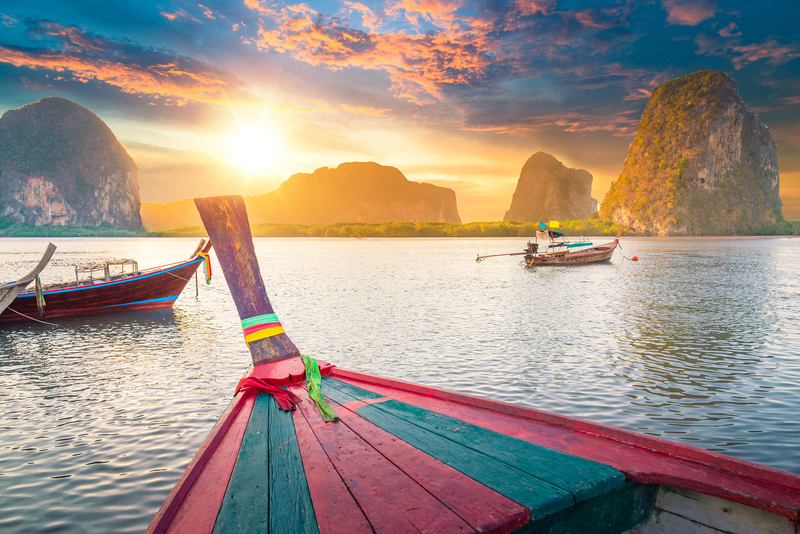 Bangkok, the world’s cultural phenomenon, shopping heaven and tourist treasure. One of the most cosmopolitan, contrasting and, above all, compelling Asian cities. With it’s dazzling temples, downtown high rise buildings, eclectic markets, gleaming palaces, ritzy shopping malls, and famous nightlife, it’s what makes Bangkok a truly “must go” destination. While the capital Bangkok is heavily populated and is much more compact, Phuket, on the other hand, is a rejuvenating escape away from the hustle of the city. Reinvigorate your senses while basking in the white powdery beaches with crystal clear water. The seaside resorts, restaurants and spas are all a Travel Diva needs for a blissful stay in Phuket. Attendees can indulge in a range of adventurous water sports exploring the vivid and colorful marine life. 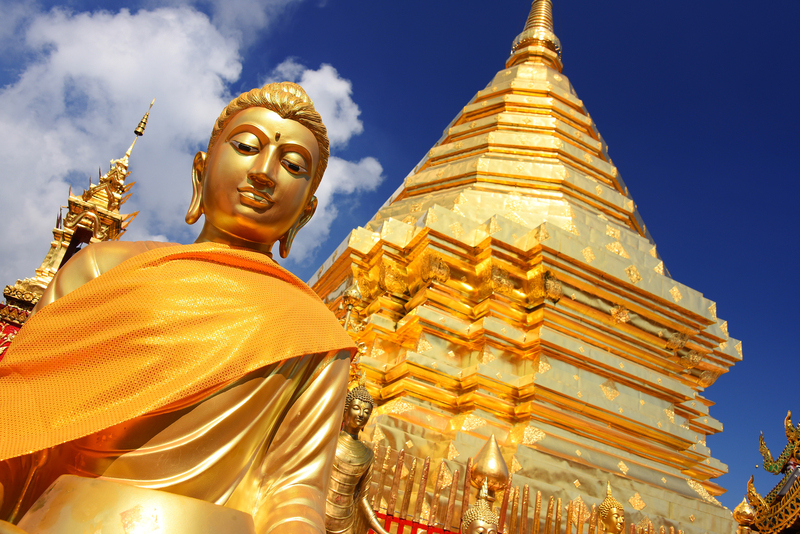 Take a stroll around Phuket City, exploring its rich culture and exuberant marketplaces. During the night the focus shifts away from the beaches to its nightclubs, pubs, bars and discos. This entire tour will surely be an epic event filled with unforgettable travel experiences. 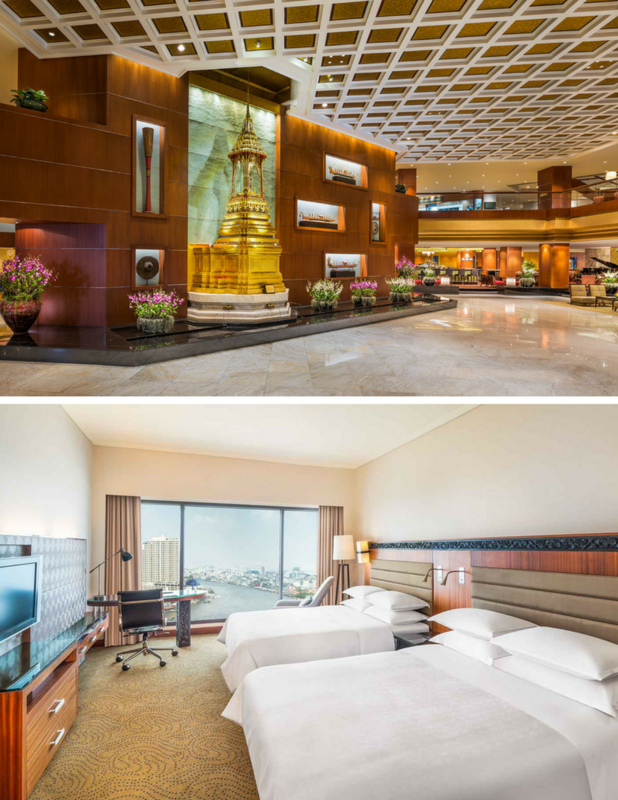 Welcome to the Royal Orchid Sheraton Hotel & Towers, an elegant 5-star hotel located in Thailand’s capital Bangkok. 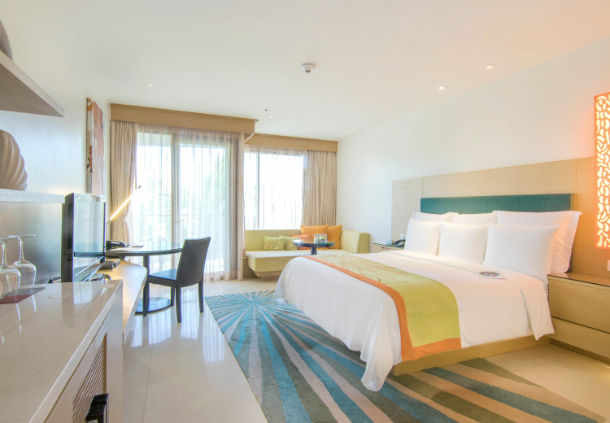 Situated on the enchanting Chao Phraya River, all of our 726 guest rooms showcase unobstructed river views. Dine with family or friends at one of four restaurants, or catch the complimentary shuttle boat to the Bangkok sky train to discover more of the city’s dynamic dining scene. Two resort-style swimming pools, a tranquil spa, tennis court, and lush meditative gardens inspire you to feel your best and ensure an unforgettable stay at our 5-star riverside Bangkok hotel. 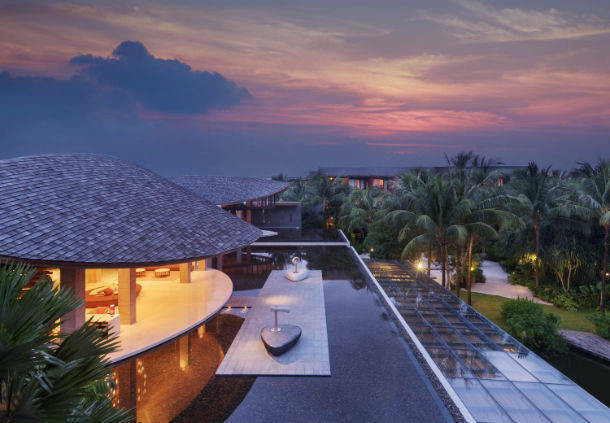 Set amidst pristine beaches, sparkling waters and spectacular natural beauty, the Renaissance Phuket Resort & Spa offers a taste of paradise here in Thailand. You’ll find our Marriott Luxury and Lifestyle Hotel perched on the picturesque island of Phuket, steps away from the sea. Spacious, 5-star accommodation showcases elegant design, pillowtop bedding and sleek bathrooms; some of our villas boast luxury extras like a private plunge pool. Our resort features several superb dining options, including a Thai restaurant, a coffee house and a cozy bar. The 5-star Quan Spa encourages total relaxation, with a full menu of treatments. Consider hosting your meeting or social event with us here in Thailand; we offer flexible indoor/outdoor venue spaces, as well as comprehensive planning and catering services. And the island is yours to explore during your stay – from unique mangrove forests to the exhilaration of Patong Beach. Let us spoil you with luxury and hospitality here at the Renaissance Phuket Resort & Spa. Missing a vacation is bad enough… losing the money you paid for your vacation is even worse. Because all of Premier Travel One and Travel Divas tours are non-refundable and non-transferable, travel insurance is therefore highly recommended for this tour. Your premium is related to your trip cost, so you don`t have to worry about being over-insured. Email us about our preferred travel insurance vendor list. Traveling abroad require a passport valid for six months beyond the travel dates. Travel One and Travel Divas reserves the right to increase prices accordingly. Your final invoice will reflect increases resulting from currency devaluation. Roommate Matching is offered on this tour. If you want to be matched, please enter “Roommate Requested” on the reservation form where if asks for your roommate name. Also, please note roommate matching does not take place until after 75% of the cost of the package is paid. The group flight will leave Los Angeles on February 6, 2020 and arrive in Bangkok on February 8, 2020. Check-in into the hotel is February 8, 2020. The entire group will fly together from Los Angeles International Airport. Because this tour occurs during our winter months and weather delays could happen at your home airport, we strongly suggest that you plan to arrive in Los Angeles a day before and book a room at one of the nearby LAX Airport Hotels. We can offer suggestions for nearby hotels. Land Only is NOT available for this tour. Please consult with your physician before travel to Thailand. You should also view the Center for Disease Control website for any recommendations, https://wwwnc.cdc.gov/travel/destinations/traveler/none/thailand. Thai Visas for Americans. U.S. citizens carrying a tourist passport and in possession of an onward or return airline ticket do not require a visa to enter Thailand. Your passport must have at least six months validity remaining to be allowed entry. The International Date Line runs down the middle of the Pacific Ocean. We will cross the date line moving west when flying so we lose a day. The total flight time flying one way from US is roughly 22 hours with one layover. All payments to Premier Travel One d/b/a Travel Divas are non-refundable and non-transferable. This is because Premier Travel One d/b/a Travel Divas has contractual agreements with hotels, airlines and other vendors that will not allow us to obtain any refunds. This way we can keep our package prices competitive and allow you to make monthly payments on your vacation. Seat assignments ARE at the discretion of airlines. Seats for this group tour are only located in economy class. If you require another class of service please email us immediately. Name changes are allowed with a $100 name change fee up until the final payment date and $250 after your final payment date.